Around the world, “liberation days” or commemorations of a liberation are very common, but Guam’s version of it can often seem like a strange bewildering experience. In most contexts elsewhere, a liberation day is a memorial, a day of remembering, but it scarcely holds any political meanings or implications. It is a “thank you” but it is one that remains attached to history in its political power/weight and doesn’t seep into the present. For Guam, and a few other places within the Pacific, their liberation days carry monumental significance today, not just in terms of mapping out the world with friendly relations or historical allies, but rather in making the people feel intimately indebted to a foreign country. For those who don’t know much about Liberation Day in Guam, it is by far the most obtrusive contemporary and historical presence on the island and for the island’s indigenous people the Chamorros. 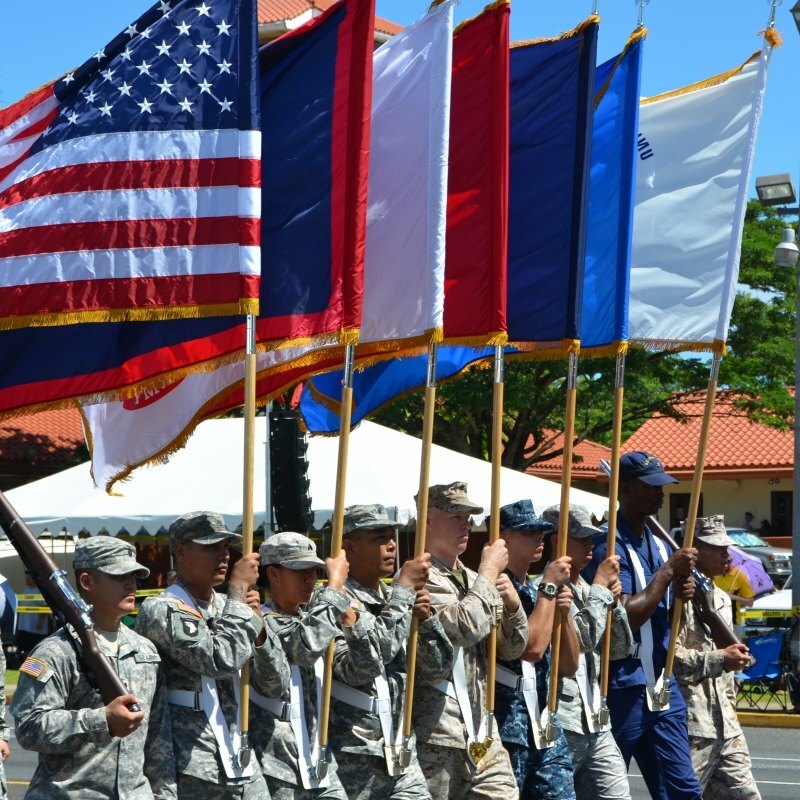 It is an annual public holiday celebrated each July 21st, and comprises a festivities packed day of parades, carnivals, beauty pageants, and political events all meant to memorialize the return of American troops to Guam that begins on July 21st, 1944 and eventually leads to the expulsion of the Japanese forces who had brutally occupied the island for more than 2 ½ years. Lao kao magahet na “liberation” hafa masusedi guihi na tiempo? Nowhere in American military planning documents from World War II is the “invasion of Guam” ever referred to as the “liberation of Guam.” Its important to remember that the majority of the soldiers who did invade Guam and retook it, had no idea what Guam was, or that there was anyone else on the island other than dreaded Japanese. War survivors up until today remark on how strange it was when American soldiers invading the island seemed surprised when they encountered Chamorros and more interestingly when they realized they spoke English. The people of Guam, as explained in the recent documentary “War for Guam” made clear, “were expendable” before and during the war, so what sense does it make to imagine this act as a liberation and pretend as if they and not the land were the precious commodity at stake in the war? Since 1944, that day, that event has somehow become transformed into a benevolent and loving liberation of a helpless island people, and the United States transformed into the magical and necessary means of life itself on Guam. The United States since 1944, in so many different everyday ways has come to signify and be perceived as the all purpose source of liberation. Almost any problem on Guam is understood to be best fixed and those of us suffering “liberated” through a simple equation of adding more of the United States, or simply being more like the United States. Gi otro tininge’-hu hu fa’na’an ayu na memento “the scene of liberation.” Achokka’ maloloffan yan matulailaika i tiempo, manggaigaige ha’ i Chamorro gi ayu na momento, gi me’nan i sindalun Amerikanu, dumidimu pat uma’asson komo taisetbe. Although the invasion of Guam saved the Chamorro people from Japanese occupation/oppression, to term it a liberation and give it the centrality in Chamorro consciousness it has held since World War II, means that we should analyze and critique this more astutely. What sort of liberation is this, if the giving back or giving of one’s freedom and independence results in an eternal entanglement with the liberator? What sort of liberation is this, if we never release ourselves from our perceived debts, and simply exist to enjoy and love our subordinate position and defend and protect our dependency on the “liberator.” How can we call it a liberation when the liberator stays, takes over 2/3 of the island and then refuses for 60 years to even weakly entertain the idea of the island’s decolonization? For years I posted my own writings and the thoughts of others on my blog No Rest for the Awake – Minagahet Chamorro that interrogated the question of what kind of liberation is Liberation Day? I’ve collected there writings, poems, videos and songs from a wide range of Chamorro voices, such as Tony Artero, Kisha Borja-Kichocho, Ben Blaz, Eddie Baza Calvo, Vicente Garrido, Cecelia Taitano Perez, all of whom provide another way of analyzing this things that has become so foundational for our lives today. Tags: 1944, anniversary, consciousness, debt, identity, july, Liberation, Liberation Day, parade, scene of liberation, Tiempon Chapones. Bookmark the permalink. When I first arrived on Guam I was fairly familiar with Guam’s history and therefore shocked to learn that the island’s biggest celebration was the so-called “liberation day.” “Don’t these people know that the only reason they needed liberating was because the U.S. refused to protect them?” I asked. “And they THANK them?” I protested. No one ever provided a satisfactory answer. Instead, I was shushed. These were questions not raised in polite company. It did not take long before I observed other scenarios which demonstrated how acutely non-confrontational this culture was, a people who humbly did whatever was required to get along no matter the cost to them. Today, I am thrilled to see the younger generations questioning, unafraid to look at truth or to speak out against injustice. I’d like to celebrate them but hesitate to offer a ‘biba’ that being co-opted from Spanish occupiers. Certainly there is a more authentic word. Can we find it, please? People are trying to use “Na’la’la'” as an alternative to biba. Na’la’la’ means to give life, to make alive.